Campbeltown Malt Note: Rich, sherry/oak, slight salt tang, lightly peaty smokey. Filled straight fr..
Campbeltown Malt Note: Rich, sherry/oak, slight salt tang, lightly peaty smokey. Filled straight f..
Aroma: Eleganter Eindruck mit Andeutungen von Eiche, die das Bouquet antreiben. 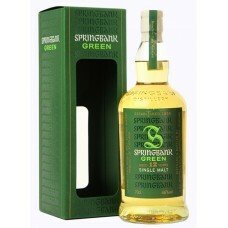 Interessante Creme b..
Hazelburn 10y/o 46% Nose: Pungent and aromatic with notes of dried fruits, plenty of sherry integ.. It was initially matured in fresh bourbon casks before being finished in refill Barolo wines casks! .. The nose is sweet and fresh. There are notes of orchard fruits and cut hay, a little chocolate and s..
Longrow from Springbank Distillery 46% - Peated Single Malt Nose: Salt and a leathery smokiness..
12 Y/O 46,0% 9.000 btls. 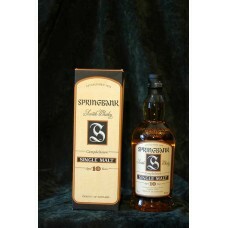 Nose: This whisky has a real Springbank nose, earthy, peat with a salty co..
Entgegen der Abbildung in der Aufmachung mit schwarzem Karton und grüner Beschriftung. Nose: Fr.. Nose: Dry Amontillado sherry notes compliment an orange zest and mango sensation, champagne and frui.. 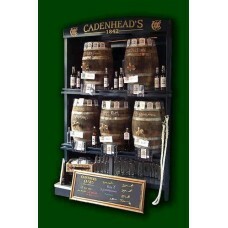 Nose: The nose is rich with a peated port influence. Its redolent of the dunnage warehouse in whic.. Nose: Sweet cereal notes are accompanied with raisin butter, apple crumble, kiwi fruit and turkish d..